Purchasing commercial real estate, such as an apartment building, is a big capital investment. So, as owners, we want to do everything we can to ensure our acquisitions are profitable. One such way to increase profitability is to claim a property’s depreciation. This is the gradual reduction in the basis of an asset over time due mainly to wear & tear. 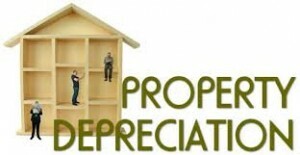 Property owners use depreciation as a tax write-off. It’s used to shelter the income. A valuable tool that owners use to take the depreciation is through a cost segregation study. This study determines how much deductions then can take. A cost segregation study can help generate great tax savings. A cost segregation study allows an owner to re-allocate a large portion of costs to a shorter and accelerated method of depreciation. Certain costs previously subject to 39-year depreciable life, can instead be reclassified as personal property or land improvements. This can be done with a 5, 7, or 15-year rate of depreciation using a fast-tracked method. An engineering-based cost segregation study enables commercial real estate owners to reallocate real property to personal property. Indirect construction costs of a building. Real property that is eligible for cost segregation includes buildings that have been purchased, built, expanded or renovated since 1987. The study is most efficient for newly constructed buildings. They can also be done for older buildings for catch-up depreciation. Accelerated depreciation deductions: When an asset’s life is shortened, depreciation expense is accelerated and tax payments are decreased during the early years of a property’s life. Audit trail. A well-documented cost segregation study helps resolve IRS inquiries at the earliest stages. Retroactivity: Owners can capture retroactive savings on a property since 1987. Recapturing depreciation in one year can allow you to implement retroactive cost segregation analyses on older properties to increase cash flow in the current year. Owners are able to reclaim “missed” depreciation deductions from prior years without having to amend tax returns. A reduction in current tax liability which frees up capital for other investment opportunities. It permits owners to shelter the income generated from the property. Cost segregation studies are a very valuable tax strategy available to owners of both commercial and residential real estate today. They are economically viable for almost any commercial facility. This includes apartment buildings. Any property can qualify for a study but the cost/benefit analysis may prevent lower valued properties from being good candidates. Segregation studies can be costly and the fees can vary greatly depending on the property type & size. Regardless of the fees; a cost segregation study should be based on time & materials or a fixed fee basis. They should not be based on a contingency basis (% of savings). Most reputable providers work on a fixed fee basis. So hopefully this provides you a little insight into a Cost Segregation Study and how beneficial it can be to real estate investors. If you would like more information on cost segregation studies or want to know how getting involved in real estate can benefit you, drop us a line. We want to hear from you.